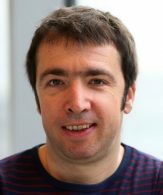 Mathias Pessiglione is co-leader of the Motivation, brain and behavior team at the ICM. He is co-responsible of the CogMaster program (École Normale Supérieure, Paris) and clinical psychologist at the Pitié-Salpêtrière Hospital. He received a MSc in Neuroscience and one in Cognitive Science, a PhD in Cognitive Science of the Pierre and Marie Curie University in 2003 and a qualification as Clinical Psychologist in 2004. Our team aims at understanding the determinants of behavior (why we do what we do), in both normal and pathological conditions. To this aim we combine different scientific approaches: human cognitive neuroscience, experimental neurophysiology, and computational modeling. Our fundamental objective is to elucidate the brain mechanisms that form goals and translate them into particular behaviors. As clinical applications we develop tools that allow inferring predictive markers for a variety of psychiatric and neurological diseases in which motivation is deficient (as in apathy) or uncontrolled (as in impulsivity).